CONSTRUCTION: The Foam Filter consists of a flat piece of foam, enclosed between two pieces of lightweight aluminum mesh. The pad is enclosed in a medium weight aluminum frame, secured at one corner with rivets. 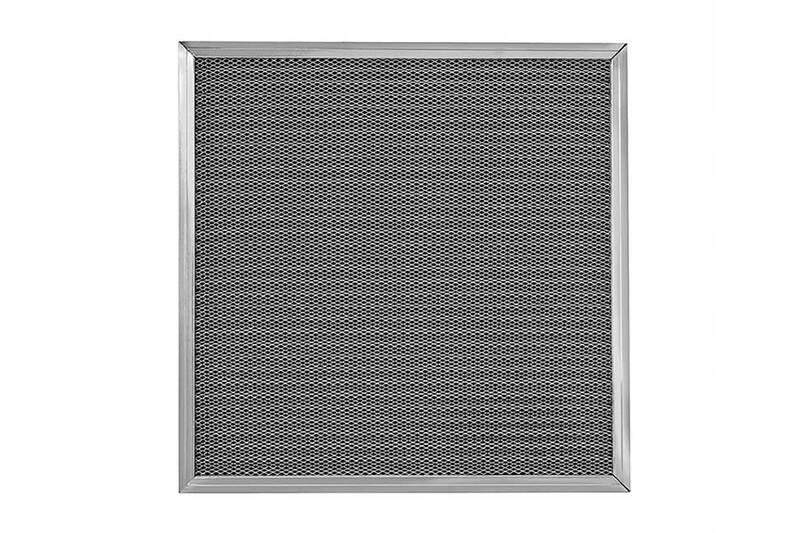 This filter is designed to filter out small dust particles in computers and other electronic equipment. It can also be used in machinery application vents, air cleaners and other uses where a permanent filter is advantageous. The maximum temperature range of the Foam Filter is 250 degrees F.